Damn a 6 pack of beer isn’t square.. But a case is!! I once asked my P.E. 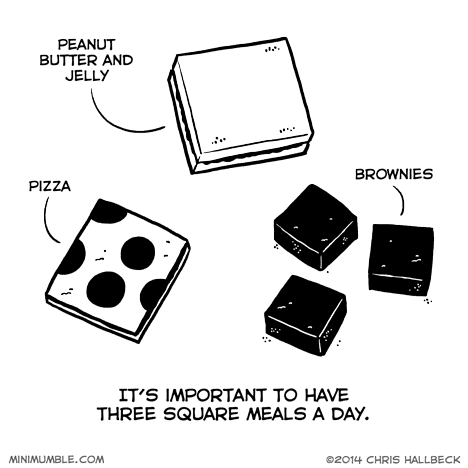 teacher how I’m supposed to have a well-rounded diet if I eat three square meals every day. So she sent me to the principal’s office. How are we supposed to eat square meals when everybody gives us round plates? Square meals? There goes my Jazz Luncheon.